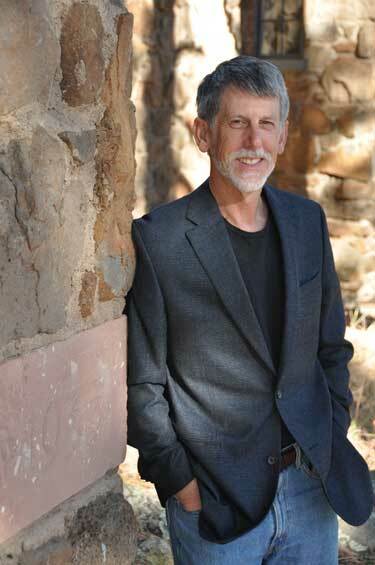 Curator of Fine Arts Alan Petersen worked on the South Rim of Grand Canyon for three years before moving to Flagstaff in 1980 to attend Northern Arizona University where he earned his BA/BFA and MA. Before his appointment as a faculty member at Coconino Community College in 1992, Petersen worked as a guide on the Colorado River in Grand Canyon and on the San Juan River in Utah. At Coconino Community College Petersen teaches art history, painting, and courses pertaining to the Colorado Plateau region. In 2005 he began his tenure as the Curator of Fine Arts at MNA. Petersen is currently working on a monograph on Merrill Mahaffey as well as one on Gunnar Widforss and a catalogue raisonné of Widforss’ paintings. In addition to his research and curatorial work Alan Petersen is a painter. His own paintings have their source in the light, space and landforms of the Colorado Plateau, and explore the formal relationships between color and pictorial space. In 2012 Petersen was awarded the Viola Award for Leadership for his role in establishing Flagstaff’s Arts and Science Agency Flagstaff Cultural Partners, his role in founding the Flagstaff Artist’s Coalition, and for his many contributions that have helped make Flagstaff a vibrant and culturally rich city. 2013 Letters from Gunnar. Sojourns, Summer 2013. 2013 Gunnar Widforss – A Swedish Painter in the American West. Nordstjernan. 2012 Seen and Believed – How Artists Have Educated us to Appreciate the Landscape of the Colorado Plateau. Sojourns, Summer 2012. 2012 Mary-Russell Ferrell Colton Discovers the West. Plateau, Volume 7 No. 2. 2012 Gunnar Widforss: The Artist and the Myths. Proceedings of the Third Grand Canyon History Symposium. 2011 Full Measure – The Artistic Legacy of Bruce Aiken, exhibition catalog. 2011 Gunnar Widforss: Plein Air Painter. Plein Air Magazine, January 2011. 2010 Gunnar Widforss: Visions of Light. Fine Art Connoisseur, January 2010. 2009 Painted Journeys on the Colorado Plateau, exhibition catalog. 2008 Merrill Mahaffey: Interior Views of the American West, exhibition catalog and artist biography. Plateau, Volume 5 No. 1. 1999 Creating a Local Arts Agency for Flagstaff. 1996 A Cultural Action Plan for Flagstaff, Co-Author with Kate Sibley.